It all started the night before the annual underwater pumpkin carving contest put on by the Minnesota School of Diving. This is a fun event that SCUBA divers participate in just before Halloween. 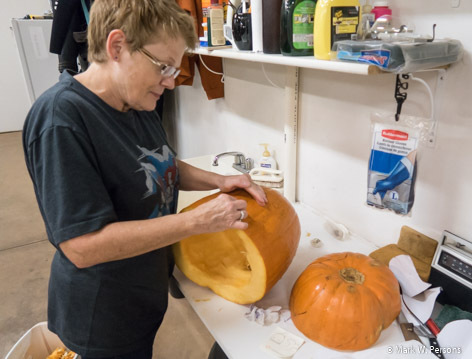 To prepare, Deep Diver Paula cut her carefully chosen pumpkin and measured it exactly. Read further to find out what her creation was. Paula went to one of the mine pit lakes near Crosby the next day. She has been diving for 19 years and her dive buddy, Leslie Kopietz, has been joining her for the past 11 years. Pumpkin carving is part of the Halloween tradition but doing it underwater is unique. 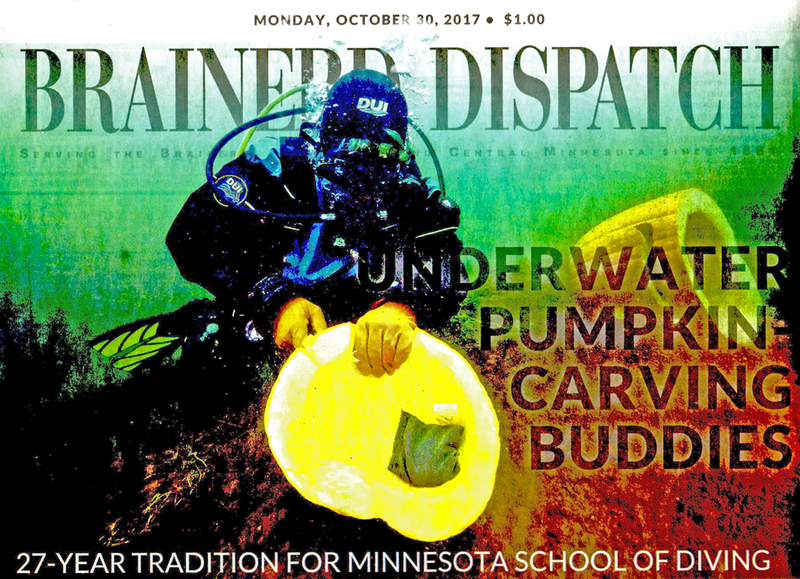 For 27 years, the Minnesota School of Diving - Brainerd has hosted an underwater pumpkin-carving contest on the last fun dive of the season, which is the weekend before Halloween. 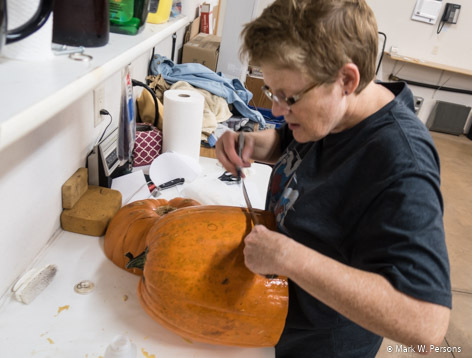 Through the years, up to 30 scuba divers have participated and usually about 16 carve a pumpkin. According to the Minnesota School of Diving owner and founder, Bill Matthies, the contest is always in the Cuyuna Country Recreation Area and has two main categories. For the first category, a diver may only use his diver's knife, and the second category is for pumpkins carved with special carving tools. Prizes are given each year, which vary from the pumpkin that looks the most like the dive master in charge of the contest to the scariest appearing. 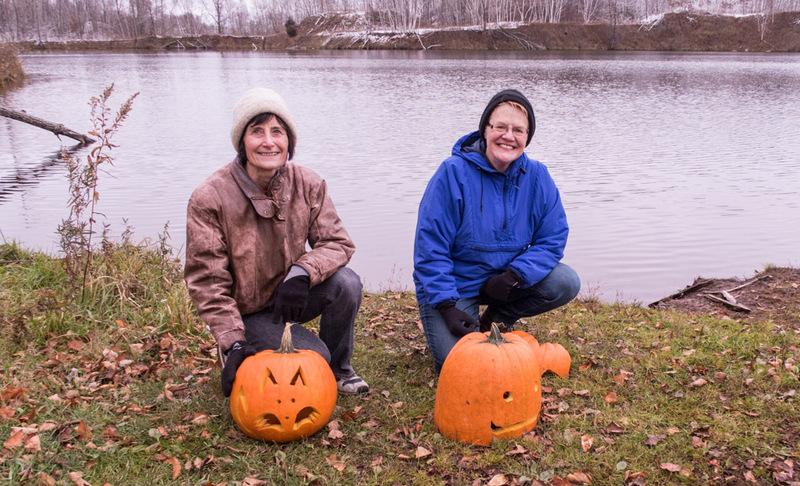 This year, dive buddies Paula Persons and Leslie Kopietz carved pumpkins with several divers, just enjoying the last fun dive of the season Saturday surrounded by snow-covered hills. 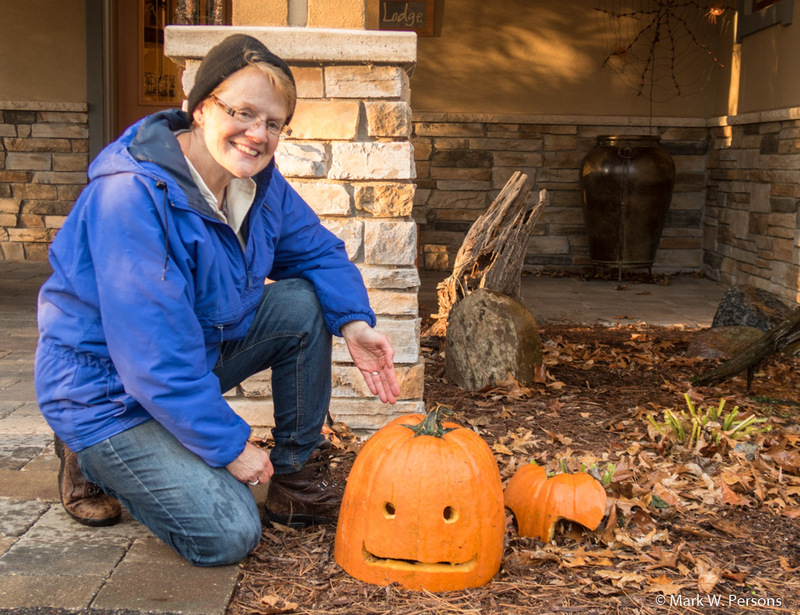 Paula proudly showed off her whale pumpkin at Gilbert Lodge that night. 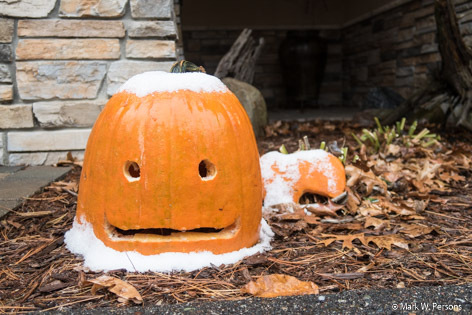 Then snow came and made the pumpkin look like it had a hat and a beard. Oh, by the way, Deep Diver Paula came up from the depths with an Elgin 7.5 horse outboard motor on September 22nd. 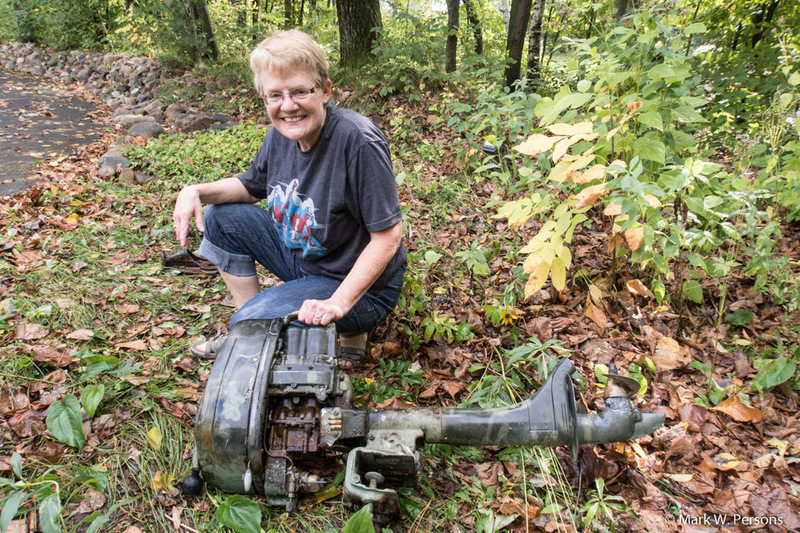 She recovered it from 15 feet of water in Round lake, near Garrison, Minnesota. The motor is from the 1950s. Does anyone want it? It is a give-away item to a good home.